California Living…New York transplant, Melanie Goldberger is the go to for person’s seeking lavish pads! Take a look at 18625 Wells Drive! This is the property that you’ll regret not buying. 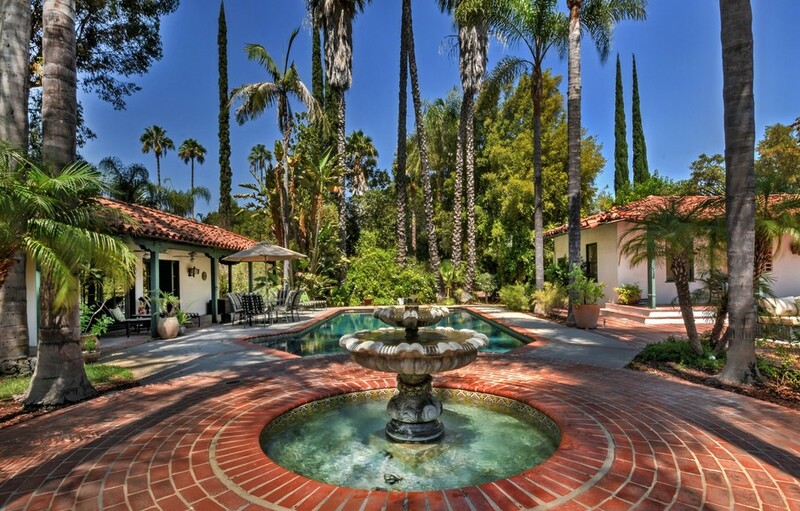 Rarely does an opportunity to own one flat acre with a classic 1923 Spanish hacienda come along at this very reasonable market value. Enjoy California sunshine all year-round in the tile courtyard surrounded by the much desired single-story estate. The sparkling glimmering pool is framed by swaying palm trees. Relax in the pool house and enjoy the expansive rolling lawn. Host a lifetime of cherished family memories within this walled, gated compound. Reap the rewards with appreciation of any and all improvements. Smart investment to capture the prized jewel of the Valley.